Jana Castillo. Photo: Chris Herzfeld, Camlight Productions. WHEN Jana Castillo received the 2018 Australian Dance Award for Outstanding Performance by a Female Dancer, it was a double vindication. The judges described her performance in Australian Dance Theatre’s revival of the late Tanja Liedtke’s Construct as “astonishing”, fusing “strength, flexibility and the ability to illustrate raw and empathic emotions in ways which left audiences and critics in awe”. For an Australian country girl who had spent most of her dancing career in New Zealand, such recognition from Australian peers was sweet. Sweeter still though was the acknowledgement of her dancing prowess from judges who did not know that she suffers from a movement disorder that has at times left her struggling to walk, let alone dance. The young Jana grew up in Wodonga in country Victoria, taking classes at the Julie Gelinski School of Dance in a big tin shed . . . This is an extract from an article by Maggie Tonkin in the April/May edition of Dance Australia, coming soon! Don't miss out on reading the rest of the article plus heaps more! 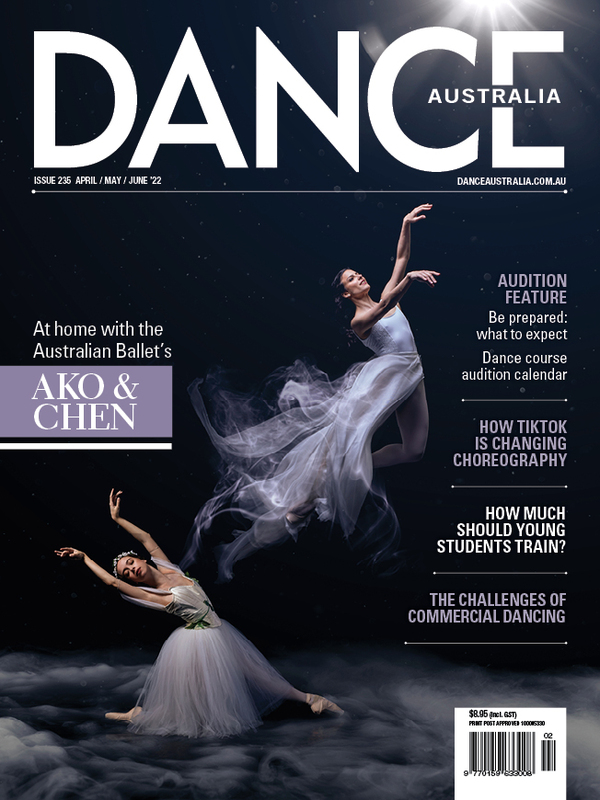 Buy Dance Australia from your favourite retailer, purchase an online copy via the Dance Australia app or subscribe here.